While much of the focus has been on Facebook and Instagram, LinkedIn has been silently growing their user base to more than 500 million users. 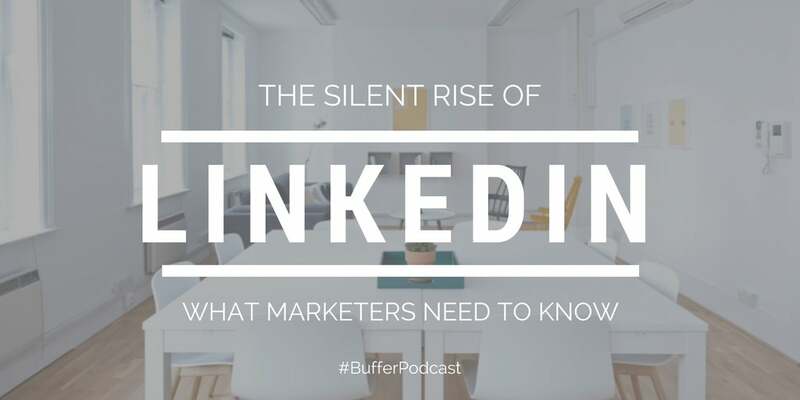 What if I told you that LinkedIn, a social media platform that is now 14 years old, is the next big opportunity for marketers and brands? While much of the focus over the last few years has been on perfecting our Facebook and Instagram marketing strategies, LinkedIn has been silently growing their user base to more than 500 million users. The reason for this sudden growth? LinkedIn is no longer known only for their résumé and job searching capabilities. It’s evolving into a thriving network of incredible content, influencers and networking opportunities unmatched by other social media platforms. In episode #69 of The Science of Social Media, we explore the many features that make LinkedIn such a powerful platform for brands and what marketers need to know going into 2018. If you were to ask me to describe LinkedIn in 2015, I might have said something along the lines of, “a great professional network” or “the perfect place to find a job.” Now, as we close out 2017, it’s clear that LinkedIn is quickly becoming a force to be reckoned with in the world of B2C and B2B marketing. Microsoft must have seen something in the rising star as well -- officially acquiring LinkedIn for $26.2 billion at the end of 2016 in one of the largest social media deals in history. What’s most astonishing is how fast LinkedIn has grown over the last six years. Between 2011 and 2017, LinkedIn’s user base grew from 140 million to 500 million -- shattering the growth rate in previous periods. One of the more intriguing aspects of LinkedIn is the demographics of their users. CEO Jeff Weiner plans to “develop the world’s first economic graph” with the hopes of “digitally mapping out the global economy.” A goal not far from reach seeing how LinkedIn has an in-depth dataset of company, industry and individual contact information for more than 500 million members. In the long-term, this will be a game-changer for marketers and brands in the B2B space. 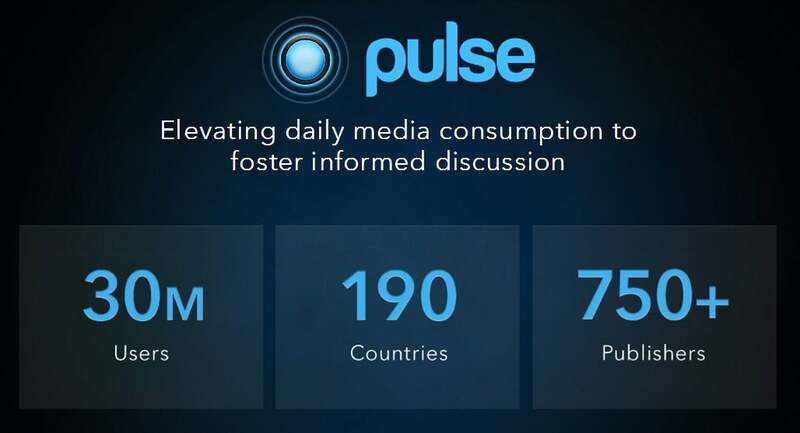 Did you know that LinkedIn Pulse started as the Pulse app -- a class project at Stanford University in 2010? It wasn’t until 2015 that LinkedIn fully integrated Pulse into the platform and established themselves as a content-first social media network. Before Pulse, LinkedIn didn’t offer users or influencers much in the form of organic content. When they announced that they’d be opening up their Pulse publishing platform to the public in February 2014, it opened the floodgates to a world of content. Today, Pulse no longer operates as a separate application within LinkedIn. It’s seamlessly integrated into members’ feeds as articles to help enhance the content-first experience. On August 22, 2017, LinkedIn launched what might be their biggest update since Pulse -- native LinkedIn video. Just a few months after launch, the evidence seems to be pointing towards videos performing extremely well on LinkedIn. Videos from the limited release are getting shared 20+ times more than any other content. Our team has been hearing the same sentiment from marketers everywhere. We also had the wonderful opportunity to speak with the LinkedIn team at MarketingProfs B2B Marketing Forum this year. LinkedIn plans to roll out the native video feature to brands and businesses in the near future -- an update that we’re all excited for! Our teammate, Paul Thomson, has been experimenting with native LinkedIn video with great success. 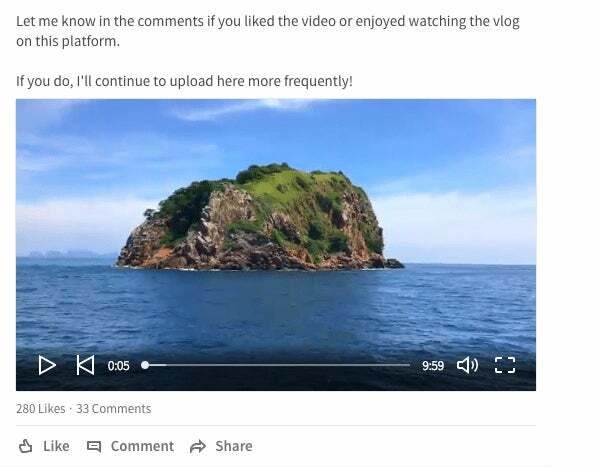 Several of his videos are performing two to three times better on LinkedIn than they are on other social media platforms. A great sign for LinkedIn as a video publishing platform. An interesting trend that we’ve been keeping a close eye on is LinkedIn’s development of their invite-only Influencer Program. Offering Influencers an exclusive platform to publish content was a brilliant move on the part of LinkedIn. One, because it offers Influencers a guaranteed way to get their content in front of hundreds of thousands of members. Two, because naturally, Influencers will bring their own audience to the LinkedIn platform by simply sharing their content with their followers. And three, it bolsters LinkedIn’s reputation as a thought-leader in multiple sectors. 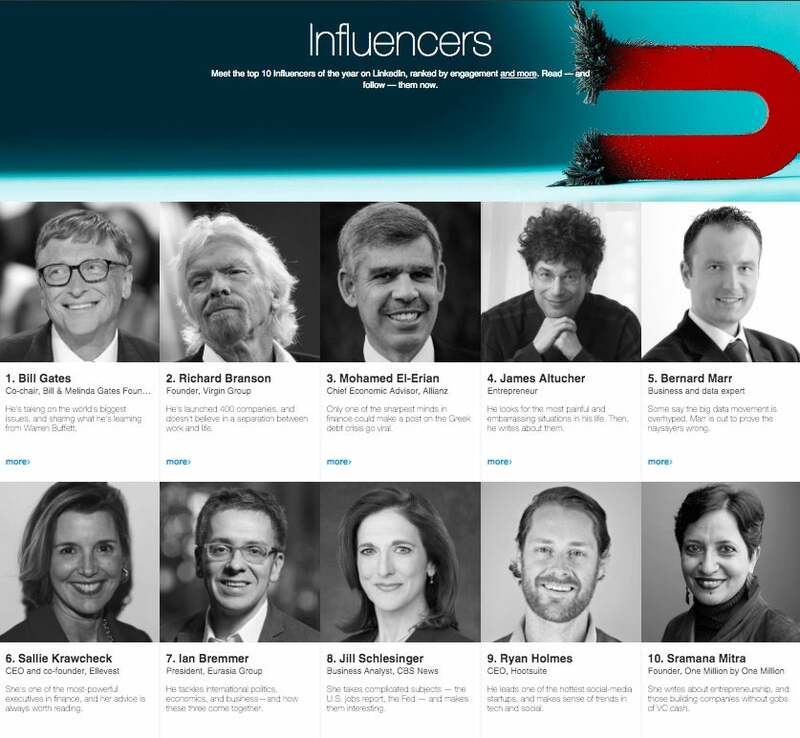 The Influencers so far include Bill Gates, Richard Branson, Sallie Krawcheck, James Altucher, and more. In fact, 36 percent of LinkedIn members now read interesting articles they find in their feed, an increase of 20 percent since 2014. 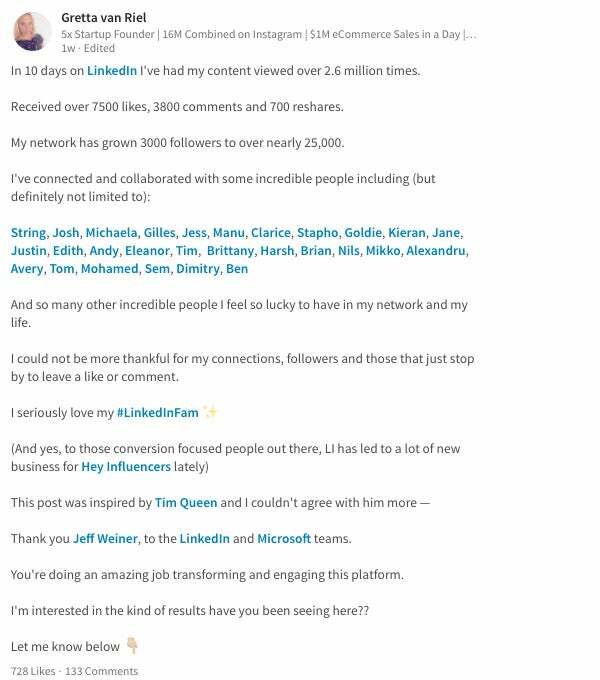 Activating influencers to write great content gives LinkedIn a unique advantage over other social media networks. Ultimately, LinkedIn’s biggest value proposition and its reason for growth lie in the ability for members to develop a strong personal brand. But what does this mean for B2C and B2B companies? When brands have employees that feel empowered to build a brand and start side projects outside of their traditional work, it’s a win-win for both the individual and the brand. Having creative hobbies has been shown to make people more helpful, collaborative, and creative in their job performance. I can’t tell you how many relationships I’ve made by simply reaching out to someone on LinkedIn and saying hello. Many of the guests we’ve featured on The Science of Social Media were first introduced to us via a private LinkedIn message. Whenever I have a question about social media or marketing, one of the first places I turn to is LinkedIn. We predict that 2018 will be an amazing year for LinkedIn -- both as a social media platform and a marketing channel for brands and businesses. It’s a fast-growing network with exciting features being released regularly. These features will continue to open up lots of great opportunities for marketers to connect with highly-targeted audiences in new and engaging ways. Keep an eye on the growth of written and video content as well as an increased focus on activating influencers by brands within their community. It’s a great time to be on LinkedIn!